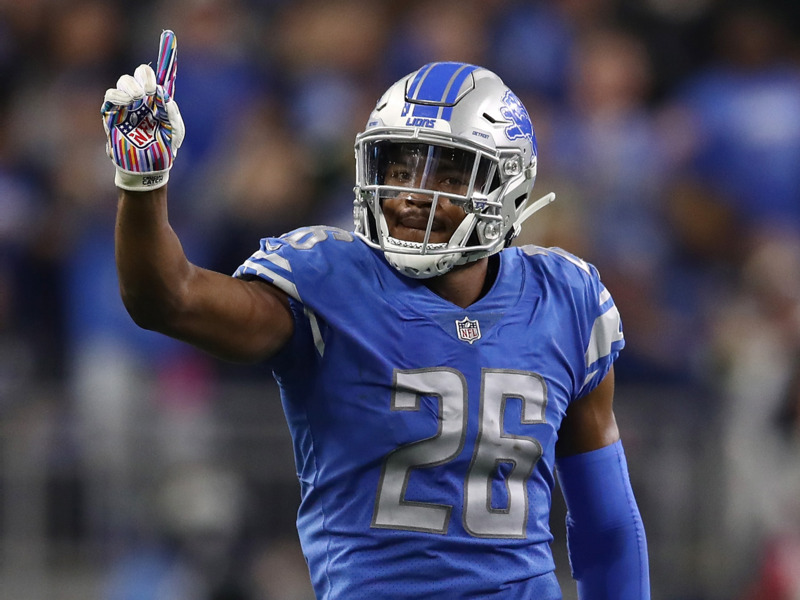 Ronald Martinez/Getty ImagesCole Beasley, Taylor Gabriel, and Frank Gore are among our best value picks for your DraftKings lineup this week. It was an up-and-down week for our DraftKings value plays last week, with Tarik Cohen and Chris Godwin outplaying their value, Baker Mayfield disappointing, and Austin Hooper coming up big to be the top scoring tight end in fantasy. But the past is the past. As with daily fantasy games, every week is a new chance to find value and make some money. 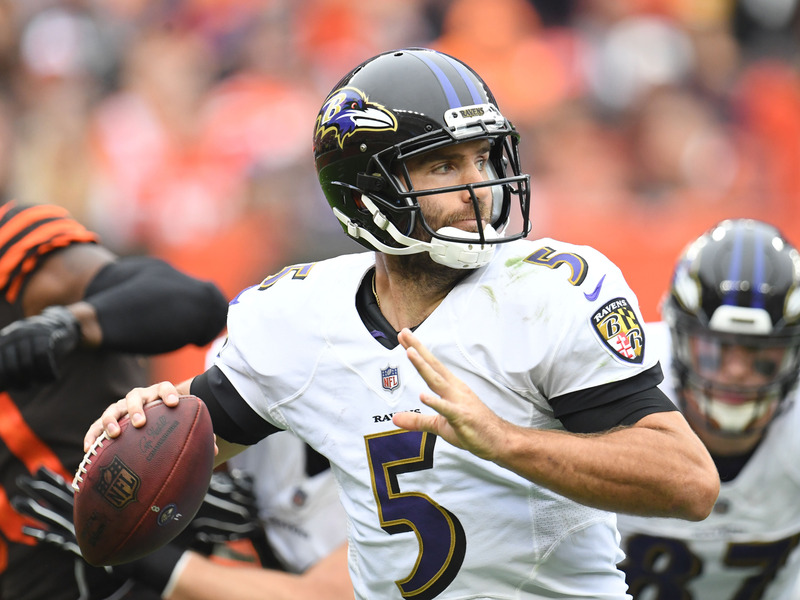 At $US5,400, Joe Flacco is a solid start this week for DraftKings players looking to spend heavier on running backs and receivers. The Ravens are taking on the Saints in Baltimore, and pretty much every game New Orleans has played so far this season has been a blowout. With an offence that can’t stop scoring and a defence that can’t stop anyone, the Saints are a solid matchup for most fantasy quarterbacks. 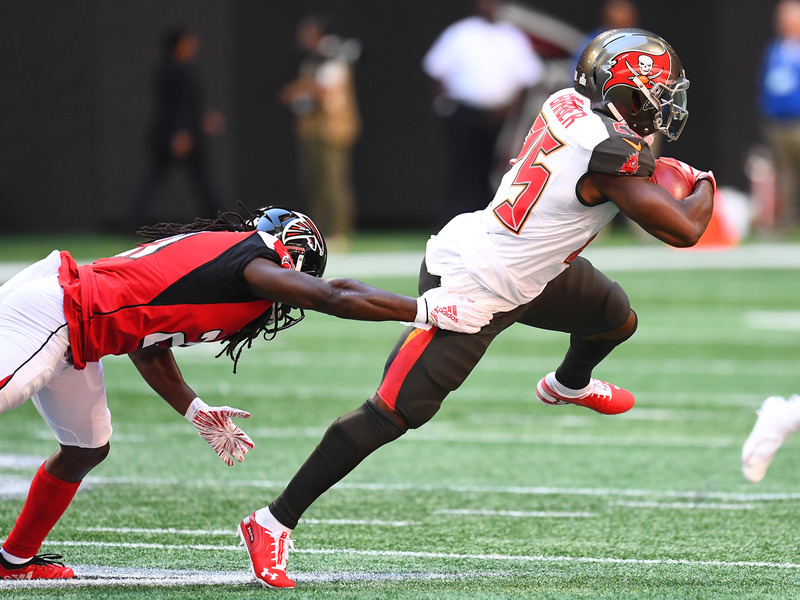 Peyton Barber went off for over 100 total yards and a touchdown last week against the Falcons but is still available at a cheap price this Sunday against the Browns. 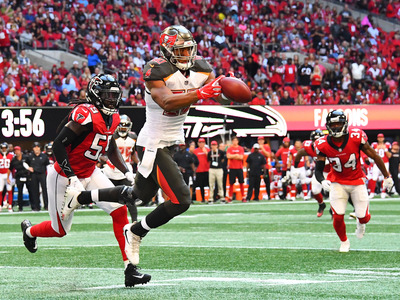 It’s just one game of evidence, but if you think Tampa Bay could be thinking of riding the hot hand, there’s value in Barber if he sees a similar amount of touches as last week. 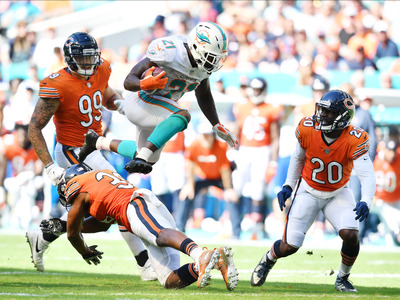 Long after I’ve grown old and grey, Frank Gore will still be rushing for 100+ yards one out of every four Sundays of the NFL season. Last week, Gore was a reliable source of positive yardage for the Dolphins’ offence, and with Brock Osweiler still steering the ship as Miami’s usual starter Ryan Tannehill deals with a shoulder injury, expect him to get even more of the workload. John Brown is a solid stack play if you’re going with Flacco as your quarterback. 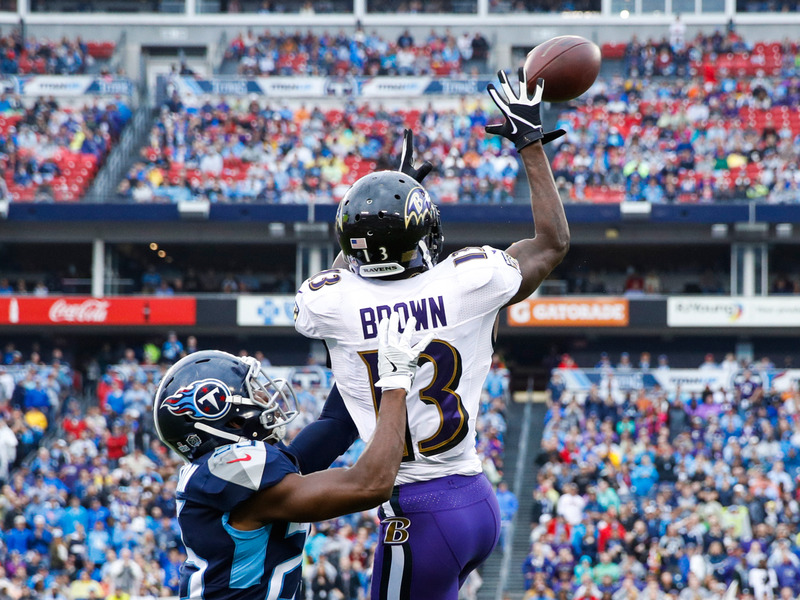 Formally known as a boom-or-bust deep threat receiver, Brown has proven this year to be a consistent offensive weapon, both for the Ravens and fantasy owners. Similar to Calvin Ridley’s ridiculous stretch earlier in the season, it feels like Taylor Gabriel is a must-play receiver until he cools off. Over his past two games, Gabriel has 12 catches for 214 yards and two touchdowns. The Bears offence has a surprising number of weapons, but it feels that in the past two games, Gabriel has emerged as one of Mitch Trubisky’s favourites. Playing the Patriots in Chicago, expect the Bears to need to score to keep pace with Brady, which could mean yet another huge day for Gabriel. 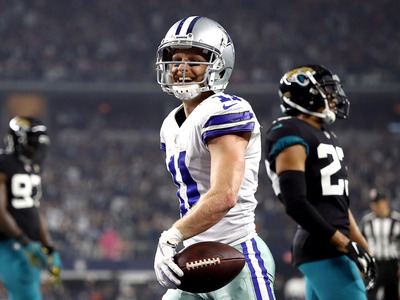 The Cowboys 40-point offensive explosion against the Jaguars was one of the biggest surprises of Week 6. 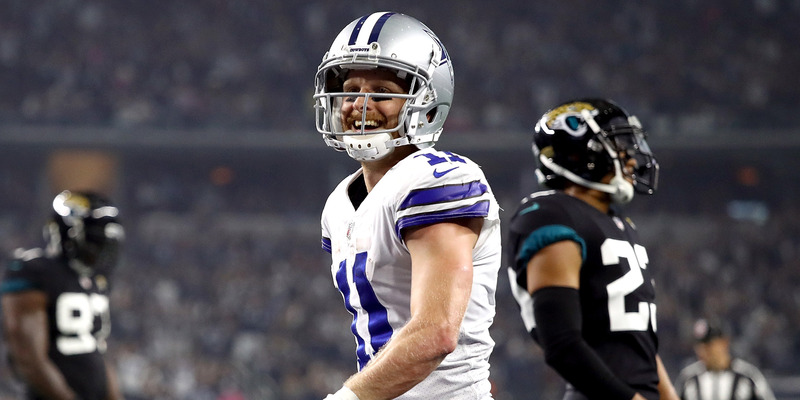 I don’t expect it to repeat itself this week as the Cowboys travel to Washington, but Cole Beasley’s performance could carry over to another good game. 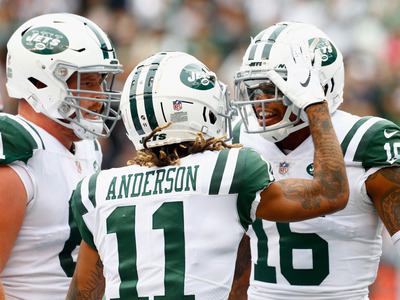 While asking for another two touchdowns from Beasley might be getting greedy, at just $US3,900 you can get a player that saw 11 targets last week. There’s a solid opportunity there. It’s a tough week to find value at the tight end position, but for those looking for a mid-level play that could find the end zone, O.J. Howard is as good a bet as any. He’s hit 50 yards in four of his five games this season and scored twice on the year. The Detroit Lions’ defence has been anything but consistent this year, but against Brock Osweiler in his second start, it feels like a solid play. Osweiler looked just fine starting for the Dolphins last weekend, but we’ve seen him play enough that a few picks are on the way.